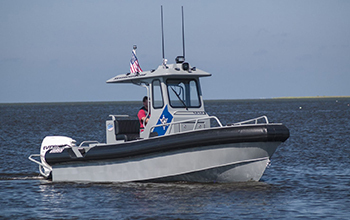 Freedom Series vessels are constructed of all-welded, marine-grade aluminum, featuring an ergonomically designed platform for single officer operation. 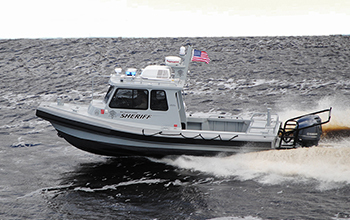 Typically used for law enforcement, Freedom Series vessels are designed with the needs of the boarding officer in mind. These boats feature highly efficient, low life-cycle cost, full walk-around console, solid fendering system with aft reliefs, abundant storage and lockable foundation within bolster.